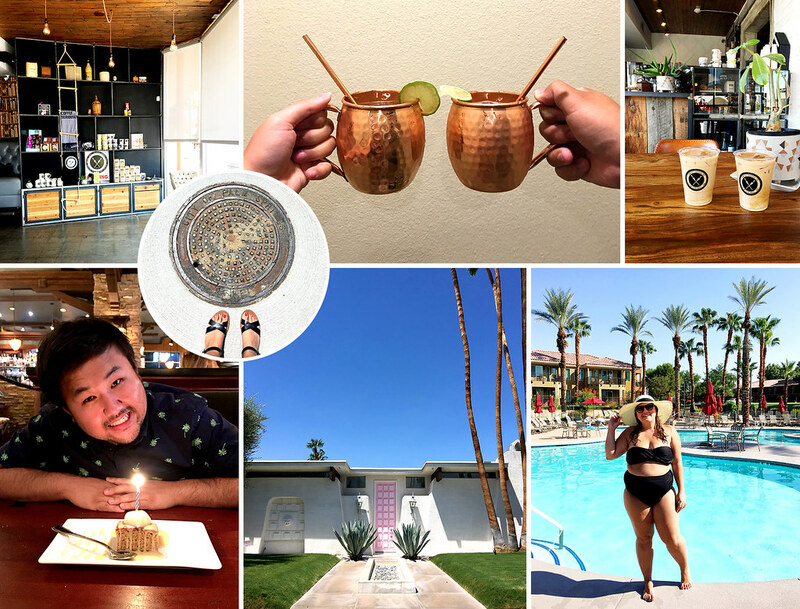 In August, Dai and I visited Palm Springs for the very first time. 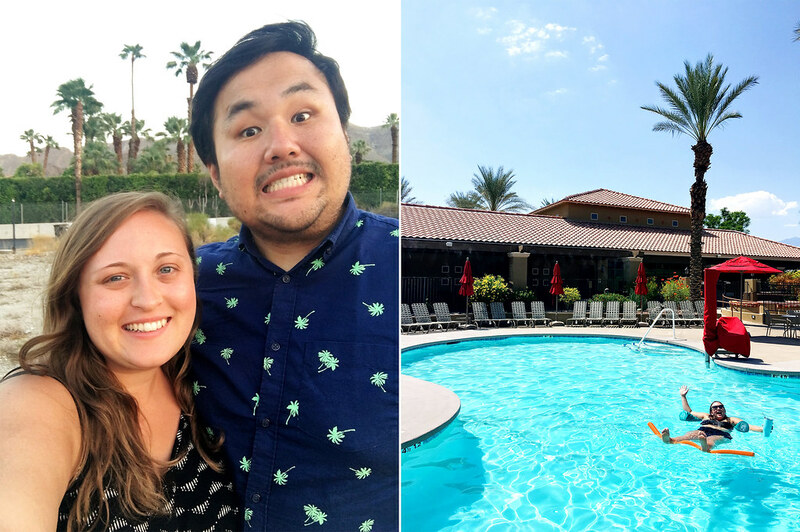 We decided to spend this little weekend away relaxing in the desert to celebrate his 30th birthday (and our 6th anniversary that was a few days later!). 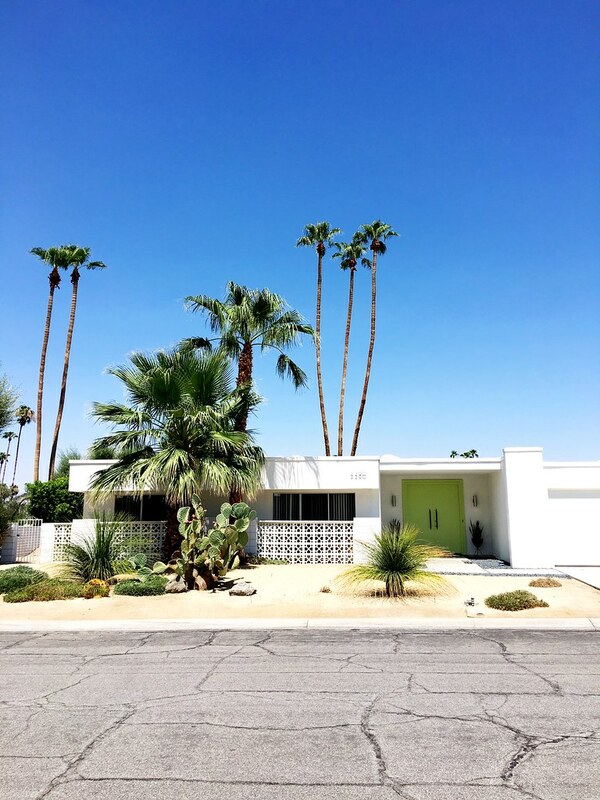 Palm Springs has been on my list of places to visit for a few years now and it amazes me that we didn't make it until this summer. It is in California after all, and only about an hour from my dad's house! 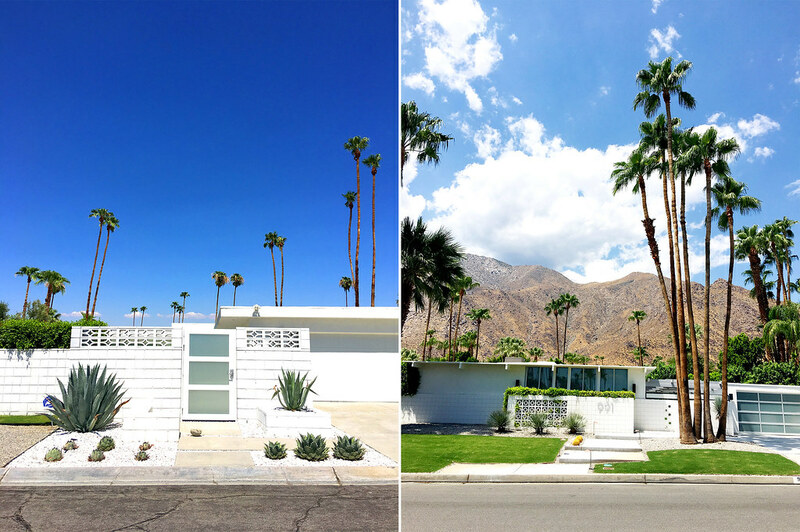 As you may know, I have this sliiiiight obsession with cute houses and all things mid-century modern. For someone like me, Palm Springs is pretty much paradise. 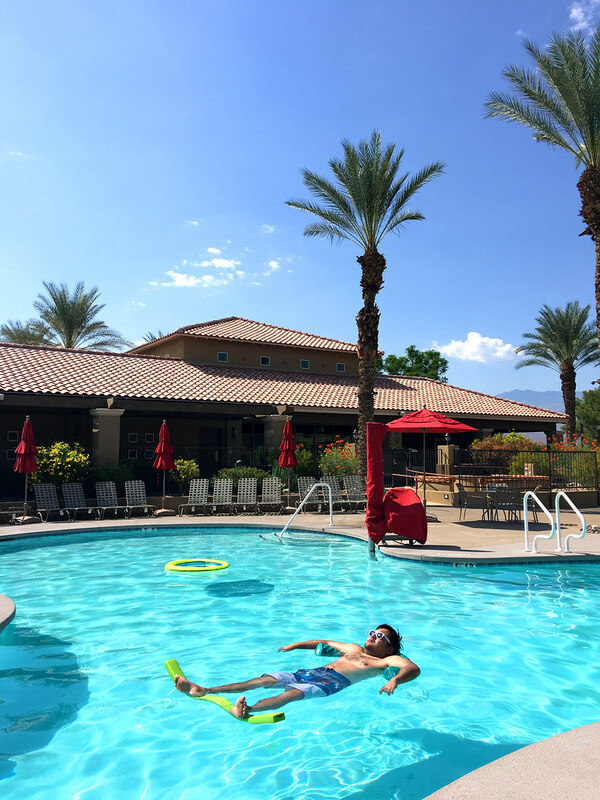 We opted to stay at the Marriott Desert Springs Villas in Palm Desert rather than directly in Palm Springs and absolutely loved it! 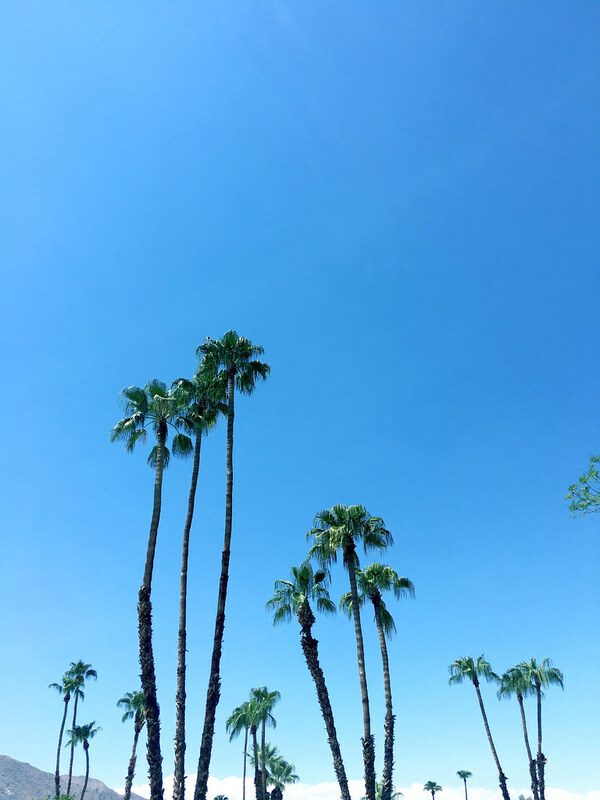 While one day I would love to stay at a cool, retro hotel in the heart of Palm Springs, this resort was a relaxing oasis for us, which was exactly what we needed on this trip. We stayed for two nights and spent our one full day lounging in the pool (because there is no lounging by the pool when it's 110 degrees out! ), sipping on drinks, and laughing together. We went out to Babe's BBQ for a special birthday dinner, which was so very yummy! We spent our evening drinking Moscow mules in the coper mugs I got Dai for his birthday and watching Master Chef on my laptop, which really is our kind of low key night. On our way out of town, we also stopped at a coffee shop in downtown Palm Springs, because how could I go somewhere new and not find a coffee shop to try? This desert sunset was unlike any I had ever seen before. 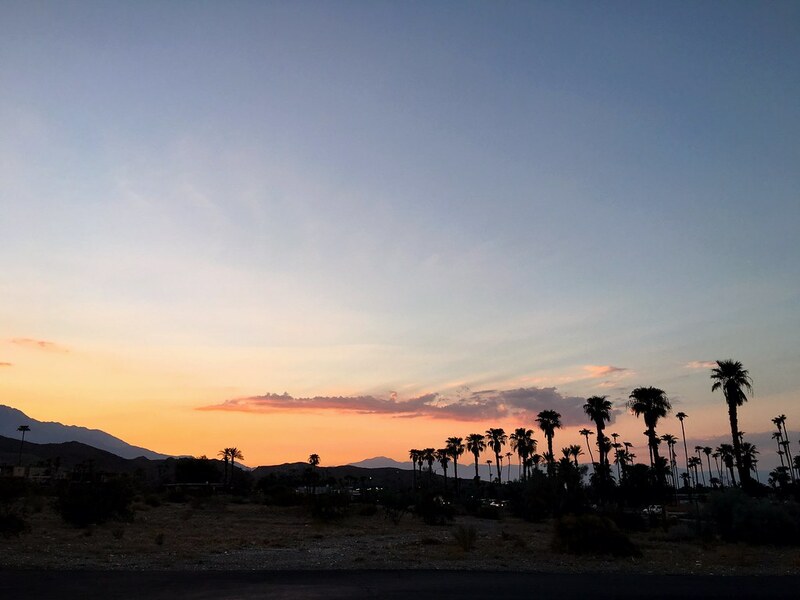 There is just something special about all of the open space, mountains, and palm tree silhouettes. All of the awesome, unique houses made my heart so happy. I truly felt like a kid in a candy store! Thankfully Dai was pretty patient with me and let me drive around the neighborhoods and hop out every time I saw a house that I just had to have a photo of (which was like every few feet haha). This was definitely such a nice little trip for us and we are already dreaming of going back next spring or summer. It was a weekend of pure relaxation, which we totally need sometimes! Our trips are usually packed with activities and things to see, but this was different and a welcomed change. We both felt so refreshed after these couple days in the desert.